Making a DIY natural air freshener using essential oils is fairly simple and requires only water and essential oils. It can be spritzed anywhere that needs a fresh scent: the bathroom, laundry room, kitchen, closets, and other areas in your home or office. This recipe can be easily adapted using other essential oils. Just be sure to find out about any safety concerns and precautions associated with a particular essential oil before using it. You will also need a 4-ounce clean spray bottle with a fine mister. Glass or metal is preferable because essential oils can degrade plastic. Instead of distilled water, a combination of vodka (1.5 fl. ounces) and distilled water (1.5 fl. ounces) can be used. The alcohol may make the scent last longer once it is sprayed. (Note that isopropyl alcohol shouldn't be used). Pour the distilled water into the spray bottle. Using gloves, add the essential oils to the bottle in a well-ventilated area. Makes 3 ounces of natural air freshener. Here are examples of other popular essential oil blends that may be used in a natural air freshener spray with 3 fluid ounces of distilled water. Shake well before each use, as the essential oils will separate and sit on the surface of the liquid. Store the bottle upright, away from heat or direct sunlight. Don't spray on furniture, delicate surfaces, uncovered food or drinks, or near the face. The solution should never be ingested or applied in regular or excessive amounts on the skin. Avoid filling the spray bottle, as the essential oils can degrade the rubber gasket at the top of the sprayer bottle. Don't use more than the recommended amount of essential oil. Aromatherapy scents are potent and using too much can have unwanted adverse effects. Don't try to achieve the same degree of scent with a natural air freshener as you would with a standard, store-bought air freshener. It's important to ask other people who will be sharing the space before spraying essential oils. 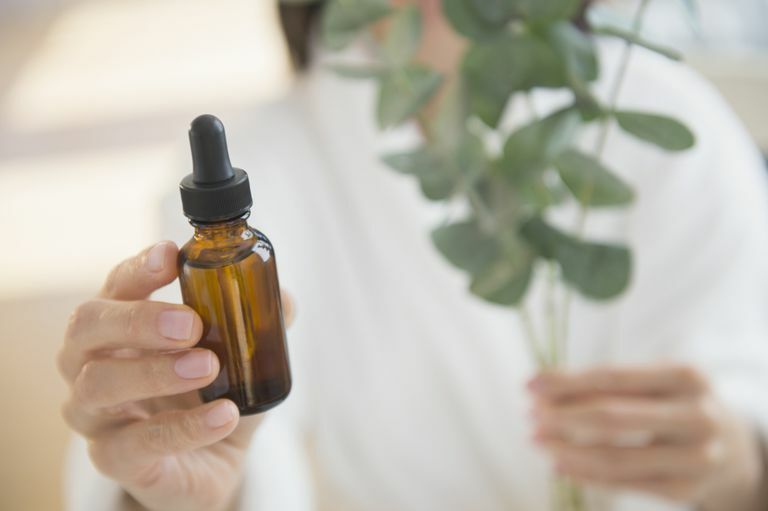 Certain essential oils may not be appropriate for everyone, and some people (such as those with sensitivities or allergies or pregnant women) should avoid certain essential oils.